Butcharts is made up of several different gardens including the Sunken Garden, Rose Garden, Japanese Garden, Italian Garden and Mediterranean Garden. The Sunken Garden is arguably the most impressive, although all are incredibly beautiful. For photos and a description of each of the gardens, see below. 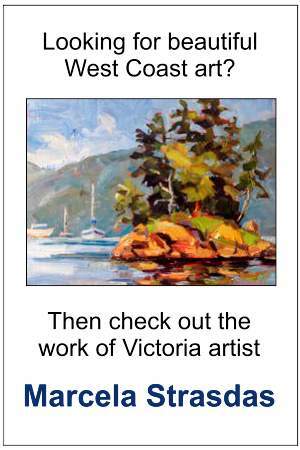 For general information on the place as a whole, click Butchart Gardens in Victoria. And for information specifically on the attraction in July and August, click Butchart Gardens Summer Activities. The Sunken Garden is Butchart’s most famous and spectacular garden. We suggest saving this one until close to the end of your visit, as after it there aren’t many botanical places in the world that quite compare. Located in a former limestone quarry, the Sunken Garden includes a rock lookout (the one spot that’s not wheelchair accessible), views of the Ross Fountain, and lots of pathways through the flower beds. As far as rose gardens go, Butchart’s Rose Garden is impressive. It has dozens if not hundreds of different varieties, all tagged with their variety name, place of origin and date of official registration (which is something that rose garden fanatics might appreciate). The Italian Garden at Butcharts is as impressive as all the other gardens, with its star pond, bronze statue of Mercury and its courtyard-style setting, which, interestingly, once upon a time was where the original Butchart family had their tennis court. Butchart’s Japanese Garden was designed by Jennie Butchart and Japanese landscaper Isaburo Kishida and completed in 1906. It features Japanese maple trees, a small bamboo grove, a Shinto Torii gate and, from the bottom, views of the waters of Brentwood Bay. If you head down to the water from the Japanese Garden you can catch a 45-minute history and wildlife boat tour around beautiful Brentwood Bay and Tod Inlet. In 2015 the cost for these excursions was $18.25 for adults, $14.25 for youth and $11.25 for children ages 5 to 12. The smallest and most overlooked garden at Butcharts is the Mediterranean Garden. It’s located at the end of the parking lot, even before the main entrance by the gift shop and information centre, which explains why it’s so often overlooked. If you’ve been to Butchart Gardens before but never noticed the Mediterranean Garden, it’s worth checking out. And if you’re new to Butcharts, maybe visit the Mediterranean Garden first, on your way from your car to the main entrance. It’s a pretty garden and will give you a taste of what’s to come. For more information on Butchart Gardens in general, including admission costs, what to see and other details, check out Butchart Gardens in Victoria. For information on the gardens in the summer, check out Butchart Gardens Summer Activities.